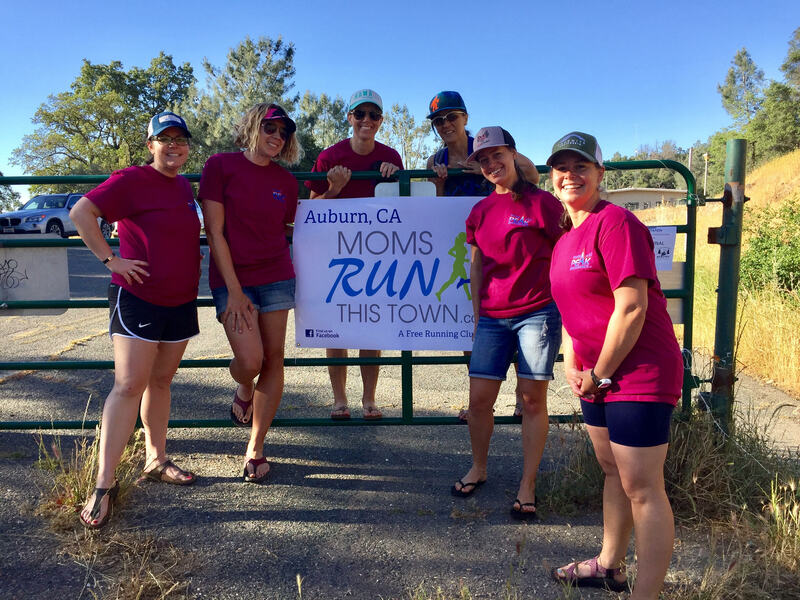 The Auburn chapter of Moms Run This Town handing out aid and energy at the Maidu Run Aid Station on May 21, 2017. Want to volunteer? Go to Team Giving to sign up now! 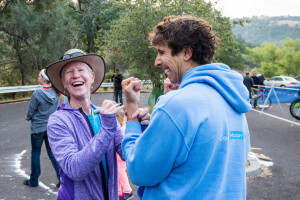 As you know, a race can not be put on without enthusiastic volunteers, it just can’t. So we could use your help so that the Auburn Triathlon can run smoothly and safely for all. If you have or know of a non-profit group that would like to volunteer please contact us for more information. If you are interested in volunteering for the Auburn Triathlon we would love to have you. 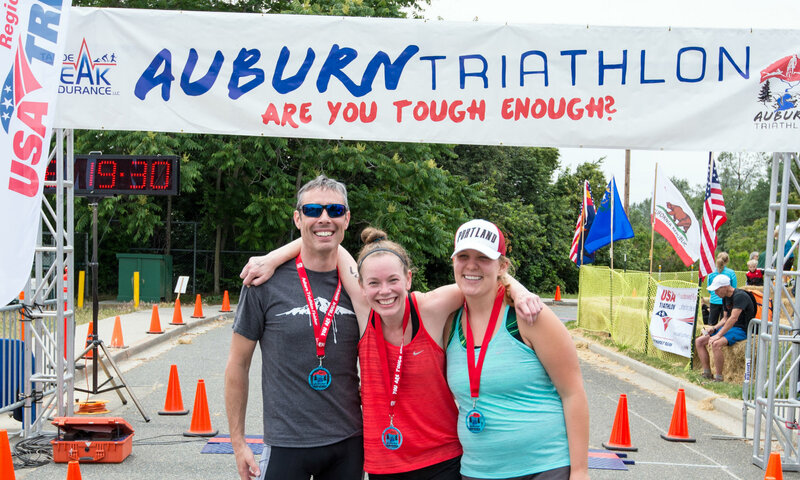 Volunteers become part of the Auburn Triathlon Family. There are many fun, exciting and supporting positions available. Such as Registration and Packet Pick up, course marshals for bike and run, aid stations, body marking, transition, parking, environmental, just to name a few. In fact we have Lead positions for those that like to Lead and take control and are good at managing and organizing. We will be posting available job positions and times but for now just contact us so we can put you on our list. There are positions available the week before, Saturday and Sunday. Each volunteer will receive a Volunteer shirt as well as they will be provided lunch. Auburn Triathlon does offer discounts to racers who volunteer either for current year or year following. Many racers have come and volunteered days leading up or on Saturday. For 4 hrs of volunteering you will receive 50% off your entry. For 8 hrs you will receive a 100% off your entry, full comp. (This does not apply to those who are volunteering with the non-profit groups that receive a stipend). Auburn Triathlon has several local non-profit groups that volunteer each year such as the Auburn’s 49er’s Lions Club, Kiwanis, Meadow Vista Lions Club, UC Davis Tri Club, Sacramento Tri Club, Sierra Academy, Placer High Band, Fellowship of Christian Athletes, California Conservation Corp. Most of these groups receive a stipend from Auburn Triathlon as well as all raffle proceeds go to these groups. (Good reason to purchase raffle tickets).